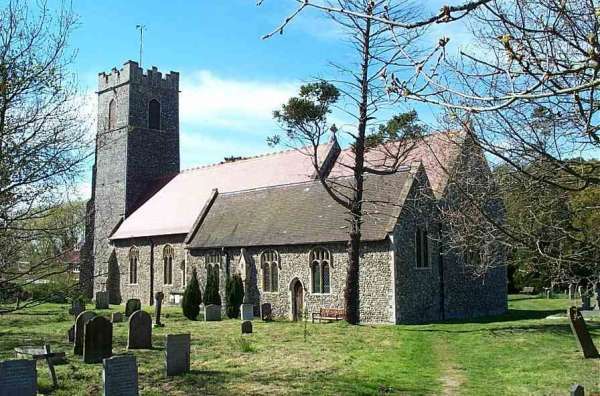 A pretty Church standing in the village of Worlingham enclosed by a 16th century wall. 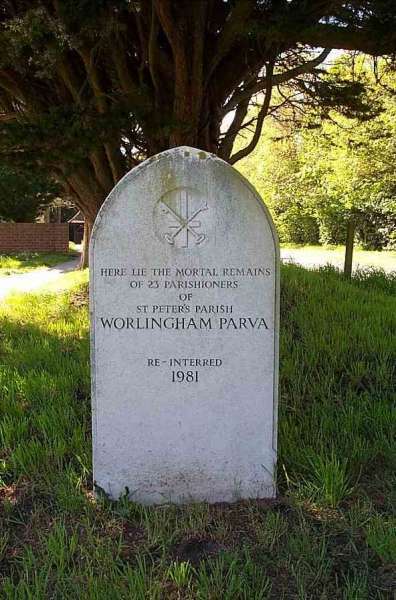 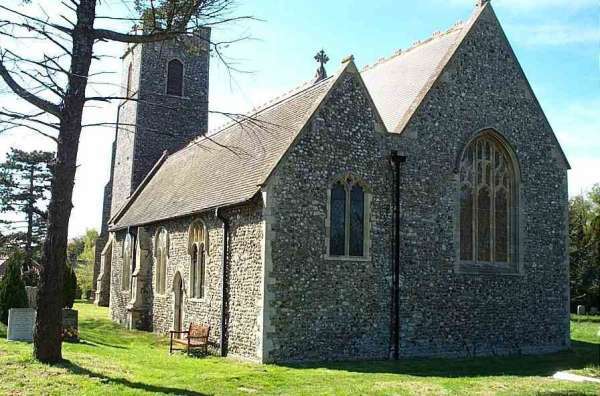 At one time Worlingham had two Churches St. Mary Worlingham magna & St. Peter Worlingham parva, by the 15th century St. Peters became derelict. 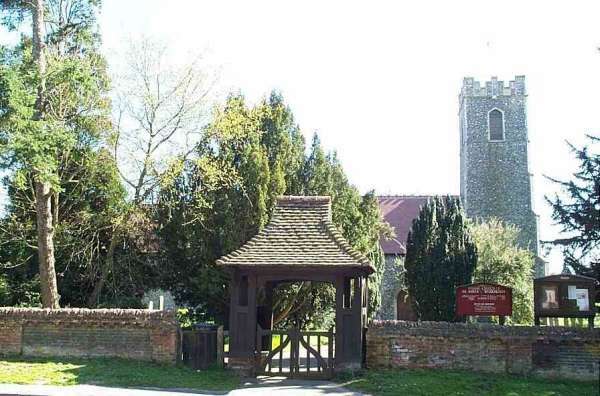 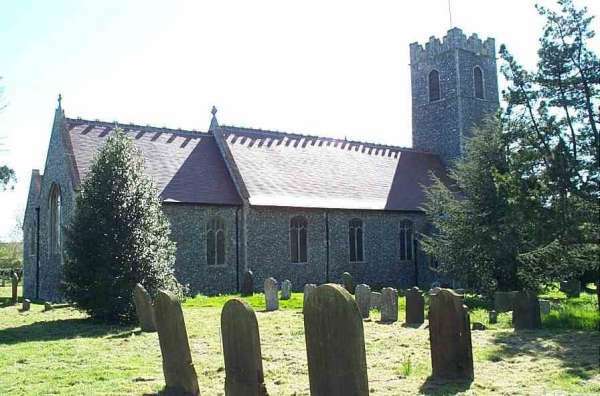 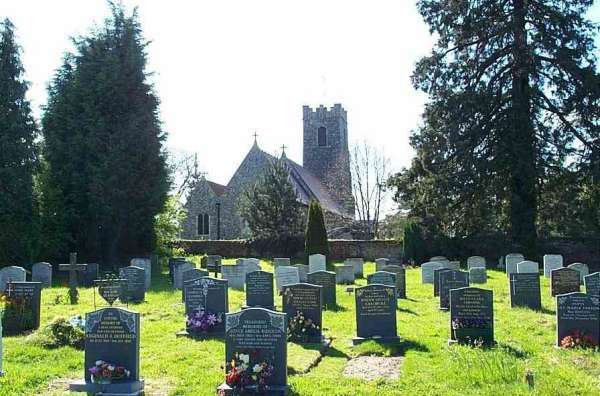 When the Beccles by-pass was being constructed in 1981 the graveyard of the vanished Church was uncovered, the remains of 23 parishioners were reintered in All Saints Churchyard.